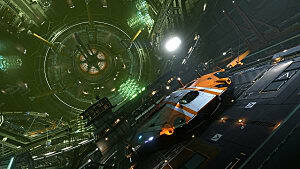 There is a lot of hype amongst Elite: Dangerous fans due to the newly presented addition to the game. 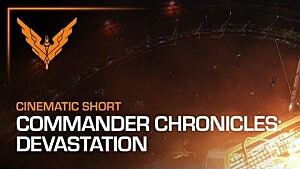 Patch 2.3 AKA The Commanders is indeed very shiny but under the glitter there is no meat to feed the bored community. Players are concentrating on multiple crew ships and character creation, but all I can see is a lack of really important changes introduced by Frontier. 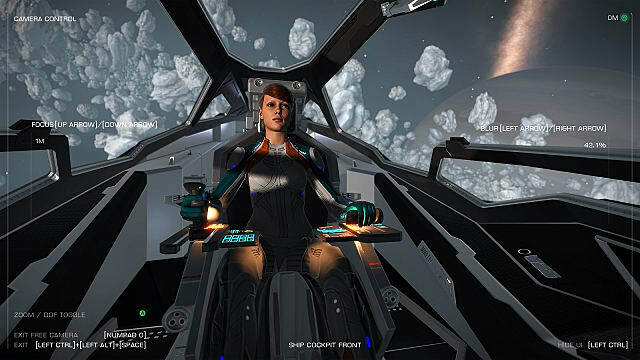 Changes, which would have pushed Elite: Dangerous in any direction, bring some dynamics, instead of letting it to become a symbol of endless grinding and be some odd universe where people play solo on MMO servers. To clarify -- what we will have in patch 2.3 is very nice, I cannot deny, and some additions will also please commanders dedicated to PvP fights. I just don't think these are exactly THE most important improvements. 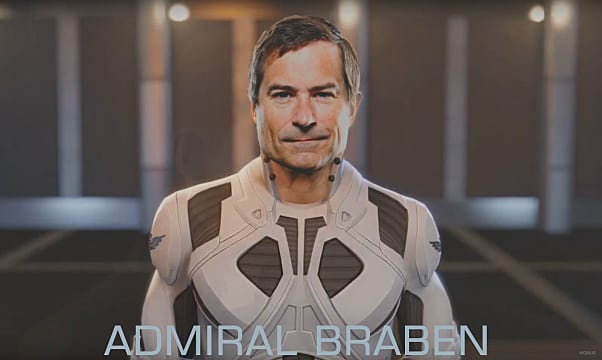 Elite: Dangerous (ED) is a Kickstarter born baby of Frontier Developments, a small development studio founded by David Braben. ED is the follow up to the old eighties game Elite, popular on early computers. There's no denying that Elite: Dangerous is the legend of persistent universe gaming; it is also one of the best space MMO titles on the market. ED was originally released in December 2014, and Frontier announced it will be updated through major expansion packs, and updates. The first season pack (called Horizons) was added to the game at the end of 2015, bringing a really significant change -- the ability to land on planets. This practically doubled the amount of fun, as players could not only fly in space but also land and use small SRV vehicles to drive around and do some planetary missions. 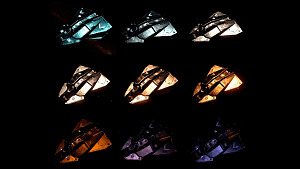 Later The Engineers and The Guardians were added as a part of the same season, bringing ship upgrades and also the ability to fly fighter ships stored in big player space ships. The latter update also brought changes to in-game UI. From the first look everything was very promising. I am a dedicated Elite: Dangerous player and I am very excited with every addition to the game, and it is pleasure to see how it is growing. The new additions to the game were presented to the general public during the "On the Horizon" life preview on YouTube. Multi-crew: players will be able to connect and fly ships together. Up to 3 commanders will be able to be in the same ship. 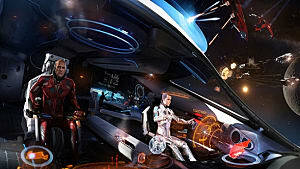 Commanders invited to the ship will be able to take on different roles like gunner for example. Holo-Me: which is the system for creation of the player's in-game persona/characters. This looks very good, and gives players tonnes of options to prepare their own original characters. The Camera Suite: till now it was a very fiddly system of third person camera, and screenshotting letting players to do some selfies of the ship in space. Now this system is much easier to operate and will even let you fly ships while in third person view. There is also an additional small passenger ship added called Dolphin, some very big ships which nobody alone can fly, and the cherry on the cake -- ship naming will be added as well! While I am an active Elite: Dangerous player, I do not have very positive feelings about these new additions. I feel this new patch lacks features which would bring some much needed dynamics to the game. I am, right now, somewhere half way through a mission of taking passengers to a remote Nebula. With my trusty ship I am jumping between star systems -- every time traveling round 32 light years. In this flight operation I can do about about 30 jumps per hour, meaning the whole mission will require about 20 hours of gameplay. The views are also stunning, so I will take a lot of good photos of this trip. The biggest one is that actually NOTHING is going on. I am just jumping, fueling up and jumping again. I am scanning planets. I can also land on them and take some nice pictures. 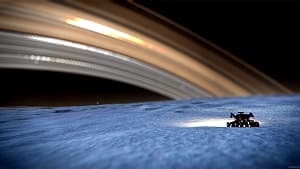 But actually there is nothing on the planets to see or do -- other than some of them are beautiful. Once the 20 hours are up (and I've completed the mission) I will have 20 million more credits, an addition to my Elite Explorer title grind, and then... I will take another mission. For a change I can go and fight pirates, I can transport some goods, but overall all this is about is finding the most profitable missions to buy the biggest ships. Then -- guess what -- grind again. Mostly for nothing. There is also not too much opportunity to interact with other players -- they are usually not even playing on open servers. The reason why they are not playing is quite simple -- PvP is occupied by those who play only to destroy others. Dog fights in Elite: Dangerous require some skill, and not every player decided to play the game to participate in some space dogfights. Some can accept being shot on site while in completely defenceless transport ships, but others would rather decide to withdraw to solo or private servers where so called ganking has no place. I have nothing against PvP; I just need to learn how to be better, but for many players this is too much -- which is understandable. Probably the best option would be to have only open, multiplayer servers -- like in other similar games. Players would need to accept the possibility of being interdicted and killed at every minute of the game. This would probably convince them to learn and improve their skills or work together to defend from the attacks. Adding the multi-crew system, in theory, should support player to player interaction. However, just because there will be more people sitting in the same ship, this doesn't mean actual in-game interaction will happen. This is what we're actually receiving with these new additions to the game. Multi-crew: I will be able to invite one or two of my in-game friends to board my ship. 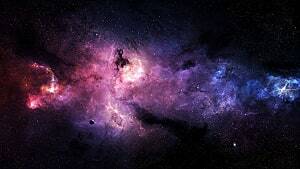 This means that now all three of us will be bored to death, while flying to the Nebula I mentioned above. There's no use for gunner or second pilot, or whatever else these poor souls are going to do. Of course it could be fun if we would decide to go into PvP or at least go for some bounties. 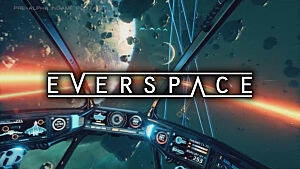 But as mentioned above, the amount of living players sitting in the same cockpit will not stop them from going into the safety of private servers. This is why, in my opinion, this new patch is not going to really support team cooperation. I mean cooperation in building in-game lore. For example why not get together and set up a convoy with gunship support? That would be much more beneficial than just sitting together in one cockpit. Holo-Me: This is actually useful for the selfies in my ship. I was really fed up with this anonymous guy sitting in my shiny space ship. Now I will be able to see my "own" face. Again, the only issue I have is that this is just a cosmetic move. Pilots will have faces but they are not going to be able to leave their ships anyway. So there is no change in gameplay, or need for cooperation. The Camera Suite: I'm sort of used to the wonky system currently in ED, but I can appreciate this upgrade. Again, Elite: Dangerous is mostly about the views around you. Having the ability to use an operational third person view will be an asset during long and boring passenger trips. It is cosmetic again though. I am not going to concentrate too much on smaller additions like the ability to name own ships, but I really would like to mention Dolphin. Can somebody explain why the devs are introducing a third identical passenger ship to the game? All three passenger ships: Beluga, Orca and now Dolphin are nearly the same -- only the size is different. Due to their specifications, they can only really be used to do passenger missions. But, players can already do passenger missions in ANY ship in game -- as long as it's big enough to fit the passenger module. Therefore, the idea of having just passenger ships does nothing good to the game. Having one was good for role playing, but that's all that was needed. One. Average passenger ships are also easy prey for ganker and pirate-alike, so sooner or later 90% of passenger missions will be taken to private and solo servers for safety. 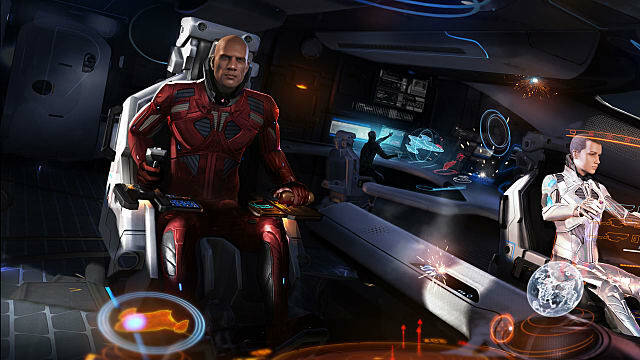 It feels that with more and more passenger ships, and passenger missions are quite profitable, there will be more players hiding on safe servers and voiding open play. It means less commanders "in open," so means less person to person interaction. As a big fan of space gaming, especially space MMOs, I love Elite: Dangerous and I have spent hundreds of hours in game just to fly around. After watching the new patch presentation, I can say the changes brought by Frontier look impressive, but won't necessarily add any important changes to ED. Multi-Crew, Holo-Me and Third Person View Cameras are just normal features. Expected, and great, but not groundbreaking. I wonder if after waiting a long time for new and amazing content, is this going to be enough for the hungry Elite: Dangerous player base? I am also worried that the Multi-Crew option will (instead of bringing more in-game interaction) support the decision for many players to hide away from open servers -- they will be able to play in solo, and still create some sort of team play, but this won't affect the overall game. ED is supposed to be a Massively Multiplayer Online game, set in a persistent universe. I feel that this is not exactly the case for many of players right now, and I feel that this new patch is not going to change that. 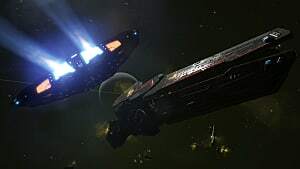 What I would rather see in patch 2.3 is some content which would force groups of players to team up, maybe some team quests, or even more Human vs Thargoid action. Less glitter, and more meat please Frontier! We have a starving community, and adding some real substance will work better than naming ships.